For those of you who have just build a blog would want a blog is one of the media will be useful for others, particularly in providing information. To build a blog, you can use a variety of platforms, such as Joomla, Myspace, Blogger, and WordPress. 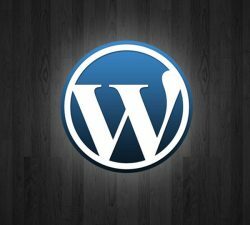 From some blog platforms like WordPress is still one blog platform with the best quality. Why is that? This is evidenced by the growing number of wordpress users from time to time. With the support of a wide range of features and facilities that are complete enough to make wordpress as a very powerful platform. With a fairly high level of compatibility, a blog with wordpress platform you can become more attractive, SEO friendly, easy to do optimization, and most importantly can be used as one “online earnings” for those of internet marketing. If you look at the official website on wordpress, where there are many features that can be used, ranging from the availability of plugins, themes, news, release updates, and some complementary wordpress itself. We may be able to further optimize all of these functions along wanted to, especially if the required platform does not require substantial resources. With well-equipped wordpress facilities course be one option for many people who want a blog with the best quality. What about you, do also want a blog that is quite complete, both in terms of loading, features, facilities, and some other specs? If so, then wordpress is the right answer for you.